Finneran Jewelry is designed and handmade by Kathrynn McDonald in Baltimore, Maryland. It is inspired by her love for old, well-loved things (tin, vintage glass and plastic beads, aged metal), critters of all shapes and sizes, bright, vibrant colors and travel. She has been making drawings, paintings and sculptures for as long as she can remember. When she discovered jewelry-making at age 10, she realized that it encompassed all of the things that interest her with a final piece of art that is both wearable and portable! Kathrynn has honed her craft with a combination of self-taught techniques and formal fine arts and metalsmithing training. 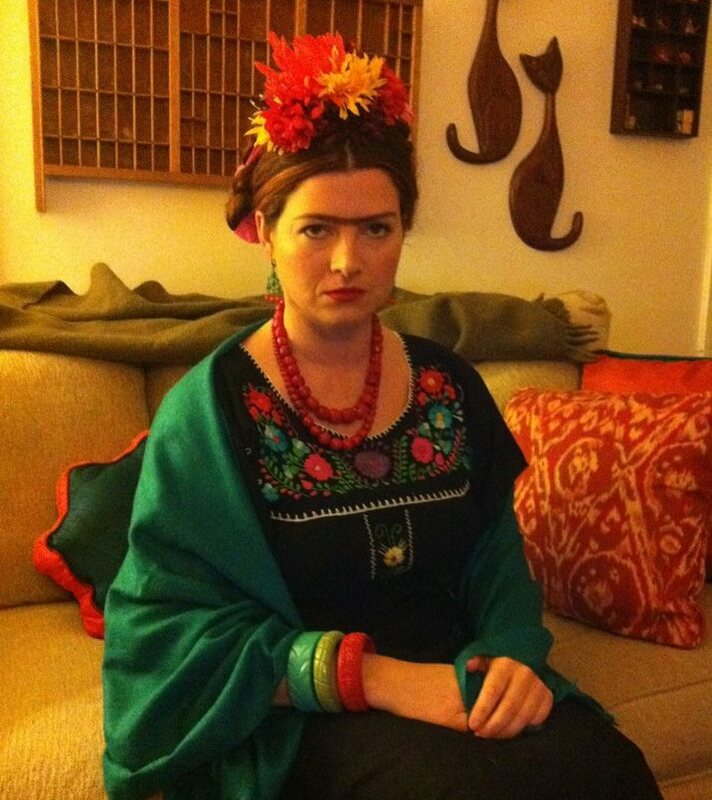 One of her proudest accomplishments in recent memory was putting together her Frida Kahlo Halloween costume solely from items within her closet and jewelry collection!